A copy of this story was given to me for an unbiased review. It got released early before I could finish and post a review (which I did last night). The book is already available so be certain to go grab a copy if it interests you. I'll post the synopsis from the author, and then I'll post my GoodReads review below that. I'm trying to get everything set up for school, and I still have Marantha Jenelle's "Ihmayran Chronicles" editing progress to check for her, so I won't be getting to read as often as I'd like. I am open to hosting interviews and spots for books in the interim while I catch up. The gates to hell are thrown wide when Alloran is betrayed by his best friend, Ladanyon, and framed for forbidden magic. He is hunted by the guards and the wizards both, tormented by the gruesome murder of his friends and loved ones, and crippled by fear for the living. 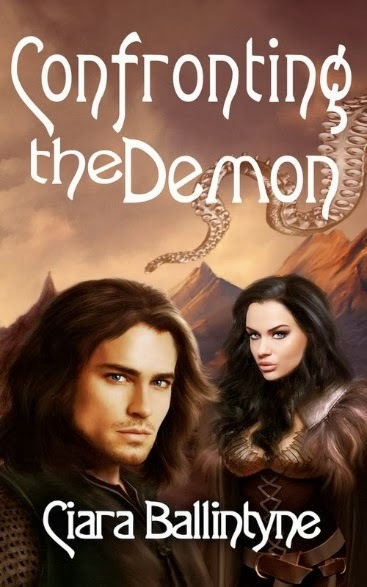 Now Alloran must face his demons, or damn the woman he loves. When a lethal spell is stolen from a locked and warded room, Avram must hunt down the thief before the song of power buries a city of innocents beneath a thousand tons of ice. Contact Kriss - kriss@cabingoddess.com for the buy links after its release. Confronting the Demon is due to be released 1 October 2013, and I’ll be signing copies at the IndieVengeance Day Book Signing in Dallas, Saturday, October 12, 2013 from 1:00 PM to 5:00 PM (CDT). Register for free here if you’re interested to come along - http://www.indievengeanceday.eventbrite.com/. http://thefinishingfairies.com – Author Image Services, Tours, Social Media Blasts, R4R campaigns. I was offered the chance to read this book in exchange for an honest review. Since this is in my usual reading genre I very happily applied. I had been hearing good things about the story, so I was excited. Part of me wishes this book were longer and part of me thinks that the length is about right for the story. I really liked the way that fantasy/magic adventure was combined with mystery. I thought that it brought some fresh air to the mage subgenre. I also felt that description was well used for the surrounding, such as for the lead female character's "starlight staircase" to the wizard's castle. The character depth was also very well done for such a short book. I am not certain which story that I like better: the main story that is the one that gives the book the name, or the extra treat story at the end. Earlier this year I was asked by an author (whom I am a fan of) if I was interested in getting a chance to read a book before it was released to give my opinion on. YES!!! Does a mountain lion hunt deer? So after accepting and hopefully not looking like some raving fangirl (in all fairness, I can get all frothy sometimes) I looked forward to managing to get enough work cleared out that I could read it. I started...and then life happened. There was much frothing and foaming in frustration. My mate likely wondered why I was getting so stressed out over not being able to read. Luckily this too is the sort of thing that passeth, and passeth it did. I got to finish reading finally and the world was bright and happy. Never get between a book lover and the book she's trying to finish. It is now a few weeks since I posted my review on Goodreads, but it was not fair to cut this one in front of other posts that I had lined up. When it's a news update on one of the projects here that is one thing, and a review is a different horse. There were a few typos, but they are not easily noticed when the storyline is pulling you along. It is a fast story, and definitely not one to start if you're going to get interrupted a lot. Block out time when reading this one and lock the door... Otherwise you are going to get just as grumpy as I was when I didn't have time to read. The storyline for me makes up for the point I would have taken off since I was often far beyond a point before I realized "hey... oh well... more story please." Some of the description I found to be pretty unique. I especially liked the comparison of the waves with a sumo wrestler. I am also intrigued by these mermaids. As in the first book they are just as capricious. It is no small wonder that they were so mistrusted by mariners, and a very refreshing change from the Disneyfied versions. All of the mermaids' capriciousness seems to center around protecting the flame, and I am looking forward to finding out more about that in the next book. I am also looking forward to seeing what becomes of Luc and Theia. I especially like how we discover the reason behind the "insta-love" between these two is due to several past lives together. It stands to reason then why they bonded so fast. It had already happened. As some of us are lucky enough to find friends and lovers that we can find such bonds with it makes sense that such things would be able to happen within this story as well. The energy connections are thick in this one. I like how the instant attraction is given reasons, both star aligned and energetic. Energy use and magic comes to bear a lot more in this book, and her system has some pretty solid basis. The real villain in this was a surprise, it wasn't who I thought. Read this one if you want some unusual mermaid stories, or if you just like magic. Mystery lovers should also enjoy this in my opinion. Dragon Shaman Books One and Two have received reviews through Kaina's Book Blog in conjunction with Nerd Girl. Call of the Kami will also be receiving a review later through the same group. So what did the reviewer think? Follow the links and find out. Thank you for the reviews, I'm glad that you liked them. Links to these reviews will also be going up on the official Dragon Shaman series site at http://thedragonshamanseries.weebly.com/. Some time ago I ran across an article about a book that was written by an 8 year old girl. That was awesome enough, especially as my daughter has been starting books since she was around four, but never finishing writing the story. So both my daughter and I know how hard it can be to write. I have more than a few unfinished manuscripts myself that will one day join my finished works. Some of those books can take years when life gets busy or when one project supersedes another. Then I read on and discovered the book to be "Zombies v. Robots," which of course very nicely smashes the stereotype that "girls don't like zombies, robots, and such things" which was so prevalent when I was a child. I still see and hear little boys in my apartment complex say such things and try to get girls to fit with gender stereotypes. My own daughter LOVES zombies (she's working on a zombie book of her own). Because of all this I was even more intrigued. I love when the boat gets rocked and I find the fireflies showing off their colors, reminding us that the norm doesn't always apply. I decided to find out how to contact Marisha and her dad for an interview since Marisha had impressed me so much. Child authors is one of the main reasons that I started my publishing, so even though she was going on her own with it, I wanted to help the world know about her story and meet the author. Grab a cup of your favorite drink, maybe a snack to go with it, and be the fly on the wall in my little chat with this bright young lady and her very supportive father. If you're already interested, then feel free to open up one of these links at the same time. Teresa: Tell us a little about yourself please. Marisha: I turn eight years old this Saturday. One of the presents that I received was an electrical scooter and I am looking forward to riding it. I attend PA Cyber School. When I was diagnosed as gifted, they allowed me to accelerate my curriculum. I am now 2 years ahead of my grade level. Teresa: That scooter sounds fun, I hope you get lots of enjoyment out of it. Congratulations on being so far ahead of your grade level. I am very impressed and very happy that you’re being allowed to do that. It is so important to be able to take classes that are going to keep you challenged and engaged. Joe: I guess there is a lot to tell. I am a licensed psychologist. I have specialties in both behavior analysis and clinical psychopharmacology. I have practiced for roughly 27 years now. I own my own practice in Bala Cynwyd –called Behavior Analysis and Therapy Partners. The last valuation of the company was over one and a half million dollars. I have taught at the university level- mostly graduate students in education, psychology, and behavior analysis. I started writing in college as a hobby. I mostly wrote horror, cyberpunk, and science fiction. Teresa: Wow, congratulations on such hard work. That is quite the background. Teresa: How old were you when you started writing your book? How old are you now? Marisha: I was seven when I started writing the first book. I am still seven now. Joe: Forty six and I am still 46 now. Teresa: So you finished the book in less than a year. Some authors that I know can write that fast and some can’t. Of course a lot also depends on the length of the story being written, but I hope you realize how awesome a feat is to accomplish that fast. Teresa: How long did it take to write Zombies vs. Robots? Marisha: It seems like a long time but it was only five months. Joe: It took five months to write and then about a month and a half to find out how to get it published. Teresa: What inspired you to write it? Marisha: We were doing story starters to practice for the PSSAs. I wrote one story on Mario from Super Mario Brothers and that gave my dad the idea that we could do a book. I was writing to have fun. I hope people who read it have fun as well. Teresa: That’s the best way to write. That’s what I do as well. Joe: Marisha is a cyber school student and I was helping her as she said with her practice to take our state tests for writing. We were using the curriculum based measure procedures. They involve giving the child a “story starter” and having them look at it for a minute, then write for three minutes, and then edit for one minute. Well, she was producing between forty five and fifty words per starter and we were doing them 3x-4x/day. About two weeks into it, I noticed two things (1) she writes very well and (2) we were producing a lot of words. I thought, hey let’s organize this and see if we can get something permanent. When I was young, my dad and I would do a lot of projects together like working on the car and paneling the basement. I always liked those projects and thought that Marisha and I writing together could be an excellent project for both of us. We had done models together. Her school PA cyber gives her a lot of hands on types of activities. So I had some experience working with her. Teresa: Hands on is always the best way to learn. Teresa: In another letter you mentioned that Marisha built a robot with her mom. Can you tell us about that project, why you built the robot, what your favorite part of it was, and anything surprising that you learned during that project. I’ve never built a robot, so that is really cool. My son will be so jealous, since that’s something he’d like to get into. Marisha: It was a project that I did with my mom. It was Scientific Explorer Robot. It was a humanoid shape with a clear-white skin. My dad bought the kit and my favorite part was how it walked. I don't remember as much about it as I would like. I did it at five. I remember the gears. They were a reddish color and you could see them though the plastic skin. I remember we had to line them up and put the screws in to hold them. It lived about a year but then it broke. Teresa: Why zombies? Why robots? Marisha: The robot idea came from watching a show in T.V. called Robot Combat League on Sci-Fi Channel. I really like that show. They had a father daughter team. Joe: When Marisha and I started writing, I was thinking of the future. I guess zombies are popular now and so are robots. I think for me the clincher as to both was the idea of the opposite views of the future they create. In the zombie future, the world is dying. People are turning into mindless beasts with a singular purpose- that is surviving by eating others. Robots are sort of the opposite view of the future a technology that improves and indeed in some respects keeps humans alive. Initially, Marisha wanted more a Haitian zombie- magic creates them. I kind of talked her into more of a zombie that was of a biopunk origin (that is humans are the origins of the zombie plague- science gone amok). We both agreed for the Ramero type- bite others and turn them into zombies. Teresa: Was there anything that you would have done differently? Marisha: No I don’t think so. I had a lot of fun with the book. I especially had fun looking up some of the solar and survival stuff. Joe: If I was working alone, I would have killed off more of the main characters but Marisha had a soft spot for them. Marisha was also very much interested in character development, so she wanted them to feel like real people. I think that slows them down somewhat but if you look at zombie flicks that don’t develop the characters they tend just to be stereotypes of good and evil. So working with Marisha has helped me to produce a type of book I would not have done so on my own. Teresa: Was there something that you took out of the manuscript during the drafting that you wish you hadn’t? Marisha: I occasionally get scared about zombies but not as much as I do about tsunamis. Teresa: I can understand the fear of tsunami. I was not in Fukushima, but I did get a text that day waking me out of deep sleep while I was recovering from a surgery. I was being checked on because of the possibility of the radiation from the double disaster coming over the sea since I'm on the West Coast and the air current points right here. Then there is also the fact that I have a lot of family down by the sea. I check what's going on in that area every time I hear of quakes. A (Joe): Some of the characters seemed to have been based on subtle jokes that Marisha and her mother make about me. Not to take it personal, it is difficult sometimes to hear those criticisms, your daughter’s criticism of you, directed off handed at the characters in her writing. Teresa: I can understand that, yes. Teresa: Was there something that you wish you would have explored more in your book? Marisha: In the sequel we had the opportunity to explore more of Emma and her views of the world and in book three she will have a new look with a suit that she is constructing. Joe: While we were writing, I really felt like I had the chance to learn about culture from my daughters view. She liked to put songs in the book and we often clashed on which songs to mention. I found that often I would mention a song and she would have never heard it, so we would go Youtube and watch it before we made the final decision of “in” or “out.” Marisha likes a lot of happy songs like Katty Perry and songs from video games. So I got to hear more songs like those and I as we did the sequel and now book three I feel like I have a much better understanding of how she views the world. Teresa: What was your favorite scene or part of your book? Marisha: In book 1, I kind of liked all of the scenes but I think the best one was when Emma asks her dad to build jetpacks. Actually, jetpacks were completely my idea and my dad did not want to do them at first, but I convinced him. Joe: I really liked the scenes in book one where people are fighting back against a world that seems and really is out of control. I think it is a hopeful statement. I also really liked the scene where Kathy is speaking to John Fredricks about his experience in Vietnam. Also, sometimes Marisha would write a section that was challenging to integrate, so it became like a puzzle how to fit it in. I liked that – sometimes I would weave it as a wish of the character or a dream. Those tended to be my favorite parts because I was able to get something to work that some would have just said “It cannot happen that way.” It really helped me to feel like I could preserve her views. Teresa: Do you have a favorite character? Marisha: Emma is clearly my favorite. She is bright and a computer wizard. In addition, she is an avid gamer. I also really like Jade and Katrina. Jade is more an artist and better at reading the situation. Katrina takes care of the animals. I think Martin was a funny character. A: I really liked the character of Pete. He was quite an interesting point of contrast. He was a medical doctor and also a gun tooting militia guy. The conflict between the two roles really made him hard to keep an understanding on. I also really liked Timmy, especially in the sequel, because he represents the rebellious adolescent who is really trying to make a difference. Teresa: Did you work with an outline for your book, or did you just wing it? Marisha: We had an outline. We sat and discussed before starting the setting, characters, plot, conflict, resolution, conclusion and ending. Then we did chapter headings to map out the plot. Finally, we had a general outline for each chapter but the details we winged. In addition, often when writing we changed things and this affected our outline. We reworked some of the characters that we were going to kill to keep them alive. My dad then would write a half sentence story starter. I would look at it for one minute and think then write for three minutes and edit for one minute. Teresa: What did you learn by getting all the way through the process of publishing? Marisha: My dad handled a lot of that. I don’t know. Joe: I guess for me – it was to learn to let go of things that were not necessary to the story. Teresa: Publishing a book is a big process, is there anyone that you would like to thank for their help and to tell us about what they did? Marisha: I don’t know. I like some of the revisions that Krista made. Joe: Yes, Krista Schwartz and Jason Sinner were both real helpful in getting the book through. They both spent a lot of time editing and reviewing the book. Some of the stuff cut was really unnecessary, as well as some of the stuff they asked us to add was very helpful. As you write, you know the characters so you might leave something out that you know but the audience does not. It is good to have some-one point that out. Teresa: Do you plan to make the book available as an audiobook? Marisha: We did make an audio book version but my dad voiced it and we are not sure they will accept it. Joe: As Marisha said, we made an audiobook and it is under review. I think that the issue was I tend to have a great voice most of the time (I did a radio show for awhile and taught) but other times my voice can be grating and irritating. Teresa: Are you going to write another book? Marisha: We are writing book 3 now. Joe: Book 2 is Zombies vs. Robots Part 2: Out of the Rubble. The second book is faster pace, as we had less need for character development. It reads a lot more graphic. It is due out in a few days. The third book is Zombies vs. Robots: Emma’s Army. In the first book, Emma’s hacking is just briefly introduced and toward the end of the book, you get a sense of just how powerful she can be. In the second book, she is sort of unleashed. In the third book, it sort of all comes together for her and you can really see her come on her own. Also, Martin’s process of moving from a typical sci-fi utopian to a cyberpunk hero is really completed by books three. Teresa: You just get more and more amazing. Teresa: What is your favorite genre to read? Marisha: I vary. My favorite stories this year were the Hunger Game trilogy. I really like Mocking Jay the best because it was the most action and really showed war that Katiness actions created. Joe: I like all kinds of horror stories but I like the cyberpunk style of a faceless corporation taking control of the world and powerless govs that cannot stop them. In addition, I like the idea that technology does not instantly produce moral people. I like the flawed hero types. Teresa: Do you have a favorite author? 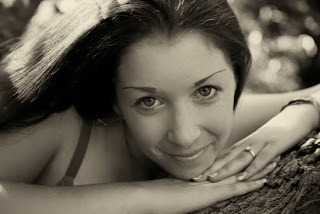 Marisha: Favorite author is Michael Scotto and Susan Collins. Michael Scotto writes a lot of the books I read for school. I like his illustrator, especially his covers. Teresa: If you had a huge sum of money tomorrow, what do you think you would do with it? Marisha: I don’t know. I would save some in my bank account. Also, I would like to buy my ticket to France- I want to go in the fall. Teresa: What do you most want to be when you get older? Marisha: I want to be a zoo veterinarian, a politician, and then the president of the United States. Teresa: What do you think is the most pressing need in our world today? Marisha: A way for the poor to become rich. Teresa: What’s your most favorite place in the whole world? Marisha: Wildwood, NJ, Clearwater and Orlando Florida, as well as India and Poland. Joe: Asleep in my bed in Philadelphia but Wikki Beach in Honolulu, HI is a close second. Teresa: What’s the most important thing about you and/or your book that we should know? Marisha: The book is 100,000 words and it is – I don’t know – it is a nice book. This year has mostly been a zombie year and I hope next year we do a book on vampires. I would like to see a story I did for American Girl get accepted. It is called Linda: A Swimmer’s Dream. Joe: The book’s characters all really grow a lot. Even the characters that you might not like change and grow. I think that this is important because people do change. Lots of death in the three books and it is hard on people when they get attached to a character to lose them, so I think people should put that in their decision of wither* to read or not. Teresa: Is there anything you’d like to tell us or give us to think about that we’ve not covered? Marisha: No. Well Zombies really frighten me. I think that I have had enough with zombies after the three books. They are creepy. I like historical fiction to read on my own. Joe: We a lot of fun to write. I hope people have as much fun reading as we did writing. Teresa: Thank you so much for joining us so that we could learn more about yourself and your books. Who says school has to be in the classroom? Research opportunities abound. I hope that you enjoyed the interview. If you are interested in the book, I suggest checking it out. Don't forget to be watching for the next books in the series. *This stems from older English usage and has been left, not a misspelling. I personally have a large beef with people saying things like "you can't use this word, it's obsolete, ancient, archaic" or some such. I like archaic language, so if there is a reason for an archaic word to be used instead of a more modern one I defend it. It is nice to see that other people also use archaic words in daily language. So last night I was working with the Nooks testing some things and went to Smashwords during the process. When I logged in there I discovered that they had given publishers and authors the ability to link the books in their series. I thought that was rather cool. Even cooler? The option for the same books to be in multiple series (ex: The LOTR series, and The Hobbit + LOTR for The Ring series). With this I was able to link the extant series books. I project that this will be useful also for linking Dragon Shaman, Selkies' Skins, Wavelets (the shorts related to Selkies' Skins) and Shadow Chronicles when those series are ready, as they are interrelated. I still have no idea yet of what I would call the overarching collection of those series... It will bear thought and once I have some ideas I may or may not open up a feedback poll on that point. This also means that I can group books that should be read together to give additional understanding of how those worlds function. Thus the birth of Spirit Bridges, I'm debating adding in "Stories of Spirits" to give more depth to one of the characters that makes cameo appearances in Dragon Shaman. Later today the interview with the Cautilis regarding their book "Robots vs. Zombies" goes live (watch for that at 9 AM Pacific Time). In celebration of the soon-to-be-released first volume of the dragon fantasy anthology "The Dragons' Beads: A Treasury" I am running a Rafflecopter giveaway. This will run from 12 AM September 9, 2013 to 12 AM November 3, 2013. The winners will be contacted after with their claim code to use at Smashwords to obtain their free copy in whichever e-format they need for their reading device. Click to enter the Rafflecopter giveaway or view on the THG StarDragon Publishing FB Page. The book release is November 1st, and the release party will be on November 2nd sometime due to the DJ's (Grease Coakes AKA John Krauss) schedule. The time has yet to be pinned down, but an announcement will be made as to when it will be. For those unable to log into Second Life the url of the music stream will be posted so that they can at least listen to the music too (such as if they are at work and have computer access). The drawing is being done the day after to give party participants time to enter too if they were unaware of the drawing. So I logged in yesterday to check my Facebook messages after dragging myself around for the chores. What I found pleased me. A World of Verse is available! This features some of my own work (he billed me as Teresa Amehana Garcia, which further made me smile) as well as several others. Ollie Lambert (who is in The Dragons' Beads) is also represented. I'm looking forward to reading everyone's work. Today I’d like for the blog visitors to meet one of the wonderful authors that are published or otherwise assisted by THG StarDragon Publishing. Each of those authors has come to me with their own story and in their own ways, and it has been a pleasure working with them. For this post I’d like to introduce Elizabeth Buckley from McCloud, California. Elizabeth is the author of "The Beast, The Hope and the Only Sun." She also happens to be my niece, and she was still in high school when she first brought me the manuscript. A: I started writing as a way to release my emotions after my father passed away. 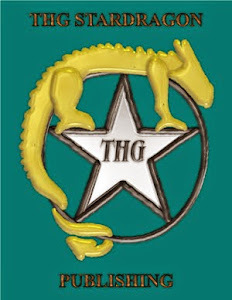 How did you find THG StarDragon Publishing? A: I personally know the owner. She felt my poems were good enough to publish so she helped me out. A: My favorite things to write about tend to be emotions of describing the things I see. Other than writing, what sort of things do you like to do? A: I like to do outdoors activities, I play video games, read and make music videos. Do you have any favorite books or authors? A: I tend to like to read Fantasy books, books about vampires and historical fiction. Two of my favorite Authors are Dean Koonts and Anne Rice. What do you feel are your influences? A: My style of writing tends to be abstract and free form because I like to be different and don't like being restricted. My emotions tend to influence what I write. Some of my poems are written from what I feel about a person or thing. What is the most important message that you want readers to find in your books? A: I want them to see that despite how hard things might be, there is always a light. Do you prefer to write on paper, or do you prefer to type on the computer? A: I like to do both. It depends on when and where I get the inspiration to write. Do you do anything special to get in the writing mood? A: No, it usually just sort of happens. Though, music tends to help me keep in the mood. A: My favorite place is anywhere I am with those I love and care about. Which of your books was your favorite to write? Is there any special story about writing the book, or an experience, that you’d like to share? A: Sadly I've only finished one but I am working on more books. Is there anything else you’d like to tell us while we’re visiting with you? Do you mind if the publisher shares a short excerpt of one of your books to introduce the visitors here to your writing style? A: That would be wonderful, thank you. This excerpt will have a sampling of the three sections. Have you finally abandoned me? Abandoned me in this hell? Or will you see me for the beast I have become? A beast driven mad by loss and fueled by the desire to serve. Helpless to change what I’ve become. Can you tell the pain I feel? Can you see the beast within? What do you see in my hollow eyes? Or a woman that has become a beast? What do you see behind my tired eyes? Or do you see the light that disappeared into the darkness? My sanity has been lost in this black abyss. People pretending to be my friends. Thank you for making me a beast. Because of it I’m stronger at least. That is all I have to thank you for. Not yet a woman, but not a child. If there is anything I need it's company. Waiting for her prayers to be answered. And where emotions are unheard of. I’ll be the one to pick you back up. Even when mine is failing. 'Cuz all that matters is you. I can’t let it show. Only you matter to me. Thanks for this visit and telling us about you and your books. Liz, I'm looking forward to seeing what else you come up with. I hope you're still working toward being a History Professor. "Dragon Shaman #1" and "The Dragons' Beads"
Dragon Shaman Book One's paperback version populated to Amazon much faster than I expected it to. The base price is $9.99, making this much more affordable than the old Lulu copies that Amazon has in stock. The Dragons' Beads is also now available for pre-order on Smashwords. It will also be available in print and on Kindle. Be watching for the announcement as to when it gets to Amazon. I was finally happy with the new print edition of Dragon Shaman #1 through Createspace, and so hit the approve button. In a few weeks it should populate to Amazon, and this first book of the Dragon Shaman series will finally be able to be down to an affordable price for those who have been wanting it in print ($9.99). This means that it will be time to set up a publishing party to celebrate, of course. Be watching for further news on what we do with that. Meanwhile you can add the new edition to your Goodreads to-read list.